His moniker may be ‘The Baron of Techno’, but we can also permanently add 'King of Electro’ to Dave Clarke’s titles for his 30 year plus passion and support to the genre. This year ADE will see the fitfh edition of his electro-centric party ‘Whip It’ at Melkweg Amsterdam on 20 October. Directly after ‘Dave Clarke Presents’ on the night of Friday 19 October - the multiple room techno event which features Sam Paganini, Rebekah and many others - the party morphs into a day time electro rave in Melkweg’s OZ room. 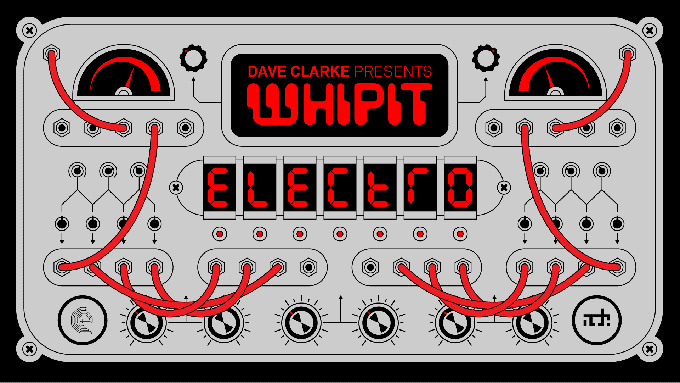 The third ADE edition of Dave Clarke Presents: Whip It starts at 07:00 and doesn’t stop banging out fierce electro until 17:00. Adding up to a total of 19 hours of party.